Quick, easy and effective solutions for your busy household. When there’s no time, there’s always time for Bona’s Quick Clean System. 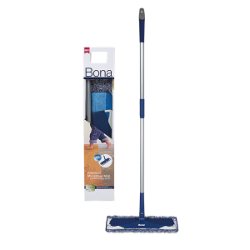 With an extra-wide mop head, grime-lifting solutions and superior cleaning pads, Bona delivers a thorough clean, quickly. 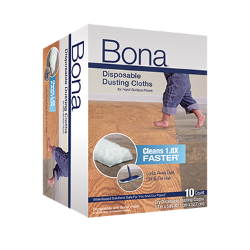 Bona Disposable Dusting Cloths clean 1.8X faster than leading sweeping cloths and lock away dust, dirt and pet hair. 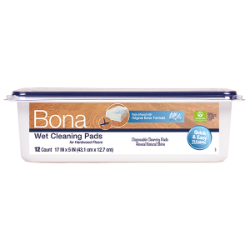 Bona Hardwood Floor Wet Cleaning Pads are infused with Bona’s Original Formula to quickly clean dirt and grime, revealing your floor’s natural shine. Premium Microfiber Mop for Hard Surface Floors with durable telescoping mop handle and 40% larger mop head with Velcro bottom for easy pad attachment. Hi there! It's me, Erin @thriftyniftynest and my little sidekick, Daisy. Confession: cleaning house is not my favorite. I'll take any shortcuts I can so the @bonafloorcare dust mop is my go-to for a quick dust and dog hair pick up. 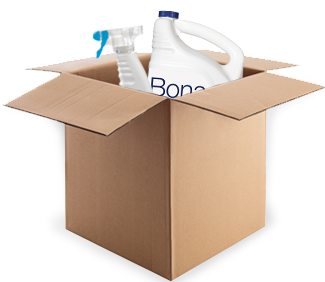 For deep cleaning, I use Bona's Power Plus system. It cleans and protects the floors and its water based so I know it's safer than toxic cleaners out there. Working mom, kid and dog approved.